UPDATE JUNE 19: Salon manager Katie Webster said as far back as Mother's Day weekend salons have been targeted. She believes the crooks are going after salon grade beauty products that can only be bought with a license. Webster believes additional people besides McDougall and Guerrero were involved in the thefts and that they later sold the stolen items online. 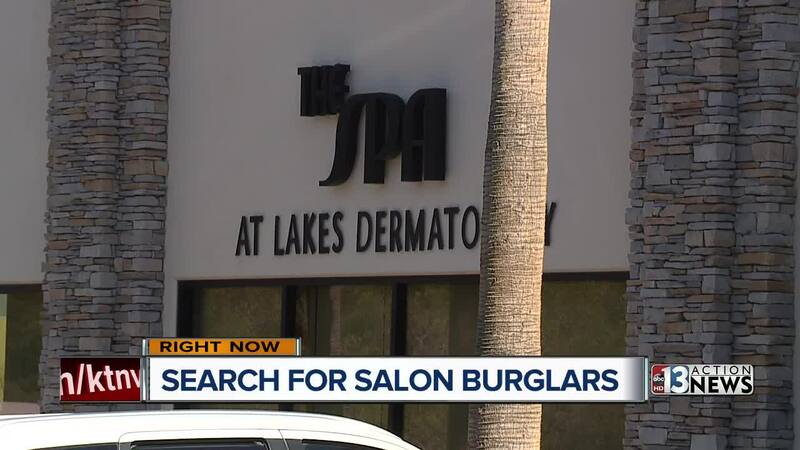 UPDATE JUNE 18: Spa at Lakes Dermatology shared a video that they claim shows one of the people arrested in a string of salon burglaries. HENDERSON (KTNV) -- 50-year-old Kenneth McDougall and 25-year-old Jesenia Guerrero were arrested in connection with a string of salon burglaries in Henderson. 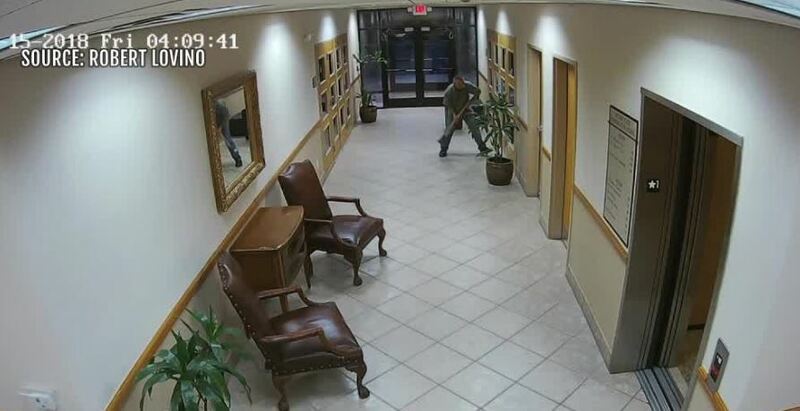 Henderson police say eight salons were burglarized between February 18 through June 11, 2018. Detectives identified McDougall and Guerrero as suspects through their investigation of video surveillance, processing of crime scenes, and following up on suspect descriptions. Officers spotted McDougall leaving an area in a Hyundai Accent on June 16 around 4 p.m. at the 1200 block of Vaughn Street in Las Vegas, near Eastern and Washington avenues. When they attempted to stop his vehicle, McDougall crashed into two unmarked detective vehicles, two parked vehicles owned by citizens, and a residence. The crash resulted in a natural gas leak. McDougal was taken into custody after the crash. No officers or citizens were injured. Guerrero was also contacted and arrested later that day at the 1200 block of Vaughn Street. Both were booked into the Henderson Detention Center. Police say additional charges are forthcoming for each suspect as the investigation continues. They believe the two suspects will be connected to burglaries in other jurisdictions. Anyone with information about this case is urged to call the Henderson Police Department at 702-267-4911. To remain anonymous, call Crime Stoppers at 702-385-5555.